▷ Virtual Fax vs. E-mail: Why do companies still fax? When you hear the word “fax”, what thoughts come to your mind? Let me guess: you are probably wondering when was the last time you used that word in a sentence. To many, the rapid development of technology and the wide use of e-mails have completely eliminated the need to send fax, but you will be surprised to learn that a lot of companies still use this technology even today. Why? In this article, we will share some insights on the virtual fax vs. e-mail battle, and explain why fax is still far from being outdated. Since its first appearance in the 60s, email has overtaken practically all forms of communication among businesses and individual users worldwide. Every day, more than 205 billion emails travel across the whole globe, or 2.4 million every second! And this is not a coincidence – it is fast, convenient, and incredibly practical. However, despite its popularity, e-mail might not be the most secure method of exchanging sensitive information in a corporate environment. When you send a document via email, it gets sent through firewalls, ISPs, servers, virus checkers, and even data harvesting bots – in other words, it gets stored and forwarded multiple times before it arrives to the receiver’s inbox. And usually, without any encryption. You see, emails are actually quite vulnerable to dangerous attachments such as spyware and malicious software. On top of that, they can be easily hacked, accessed, or even used for phishing. For companies exchanging sensitive information and important documents, this not only means that their privacy might be compromised, but they are also facing a higher risk of cyber attacks. But don’t get me wrong: if protected correctly with the right firewalls and anti-malware, emails can be quite successful at keeping the company safe from harmful intrusions. However, it is important to keep in mind that they are usually significantly less secure than fax, and are not recommended for sending important files between parties. Fax has been around for a long time. Astonishingly, the fax machine may date back to 1865, when the first fax service was established between Paris and Lyon, France. Nowadays, more than 100 billion faxes are still sent daily, despite the rising popularity of email. However, fax is also undergoing an evolution. If just a few years ago companies were still investing in heavy infrastructure and equipment to maintain a rigid fax system, nowadays it all happens in the cloud. In fact, cloud computing provides numerous benefits, such as cost-efficiency, reduced investment, rapid disaster recovery, and extremely flexible capacity. Why do companies still fax? Although it may sound as an outdated technology to many, the truth is that fax is still one of the most reliable methods for exchanging documents safely – especially in legal, healthcare, government, telecommunication, and education industries. Documents sent by fax are considered legally binding, especially if they are signed by a physical or digital signature. E-mails, on the other hand, are not always legally binding. Because messages are transmitted via telephone lines when faxing, a hacker would have to know the exact moment when a fax is sent to be able to interrupt it. For this reason, the authenticity of a fax is hardly ever called into question. Additionally, some Virtual Fax solutions are certified for delivering documents with Proof of Delivery for legal compliance. Email accounts, on the other hand, are surprisingly easy to be accessed by unauthorized users, and their authenticity sometimes can be questioned. Virtual Fax is generally more secure than both traditional fax and email. On one hand, cloud-based faxes encrypt the data to be safely exchanged between parties, which is usually not the case for other means of sharing documents. On another hand, digital faxing is not susceptible to spam and malicious software, which can be extremely common for other online communication methods. Because files sent via Virtual Fax are encrypted, they can only be accessible by the user who has an access to the email address or this specific account in the fax portal. In traditional faxing, documents with sensitive information sometimes sit out in the open on the fax machine, and can be easily accessed by unauthorized personnel. Some solutions like eComFax are certified to provide even deeper security in compliance with PCI-DSS and Data Protection regulations. Another reason why many companies still prefer Virtual Fax vs. E-mail is that securing email to be in compliance with legal and data protection standards can be much more expensive than simply using digital fax – which is already compliant and cost-effective. Virtual Fax vs. E-mail: is Virtual Fax worth it? Yes! Although email communication is perfect for occasions where you don’t have to share sensitive information or files, cloud-based fax remains the most reliable and secure alternative for businesses that exchange important documents with frequency. Do you need more arguments to solve the Virtual Fax vs. E-mail dilemma? 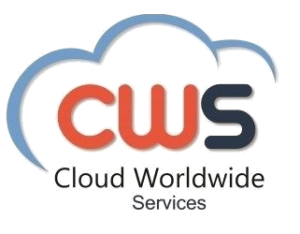 Contact us at Cloud Worldwide Services, and speak to one of our professionals.